The young women will now benefit from the three-year ambitious project, aimed at protecting their rights and rooting out the archaic cultural practices. More than 2,600 girls and young women stand to benefit from the project, thanks to the Foundation for Civil Society (FCS) for supporting the initiative through the Children’s Dignity Forum (CDF). CDF is a local nongovernmental organisation (NGO) leading campaigns aimed at ending FGM and child marriage in the country. According to CDF Executive Director Mr Koshuma Mtengeti, under the project, some 75 members of the ward development committees (WDCs) will be trained in law, policy and how to take actions and report issues affecting children, at their work places. “There will also be video shows on the bad effects of FGM and child marriage,” Mr Koshuma told the ‘Daily News’ shortly after the project was officially launched in Tarime on Wednesday. He said CDF will also organise a dialogue of men and boys focusing on their roles in preventing FGM and child marriage. Implementation of the project will also involve the formation of a total of 18 clubs comprising out-of-school and schoolgirls. “70 girls in each of the 18 clubs will be engaged. We will also train local leaders on how best they can play their part in protecting girls and women,” the CDF Executive Director said. Moreover, 75 girls and young mothers will be equipped with entrepreneurship and livelihood skills, under the project. So far, the Child Dignity Forum has successfully implemented several projects which had greatly helped to save many girls from undergoing FGM and child marriage in the region. The new project is targeting three wards of Tarime District namely Turwa, Nyamisangura and Bomani. It was officially launched by Tarime District Commissioner (DC) Mr Glorious Luoga on Wednesday this week. 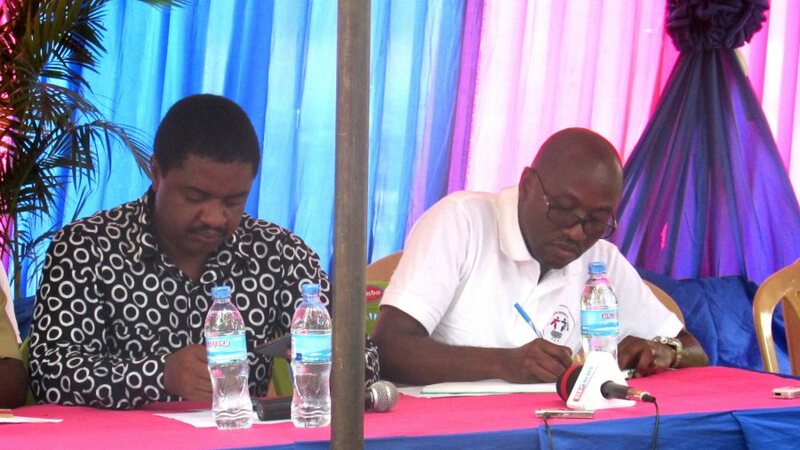 The DC thanked the NGO for working together with the government to curb FGM and child marriage acts in the area. “The government cannot succeed in this war, without the support of organisations like CDF. You are doing a good job and we will continue supporting you,’’ Mr Luoga said during the event which was attended by key stakeholders from the three target wards. The stakeholders included traditional leaders, clerics, ward executive officers and police from the children and gender desk unit. They welcomed the new project with the hope that it would strengthen the welfare of young women and girls, protecting them from being subjected to FGM and child marriage, stemming from outdated culture and traditions. “The project has objectives and it would be helpful if it will be implemented as we have been told,’’ Rev Francis Makuri of Tarime Mennonite Church said. Main objective of the project is to advance girls’ rights, child marriage, FGM and empowering child mothers in the targeted wards according to the Executive Director Mr Koshuma Mtengeti. Successful implementation of the project, he said is expected to increase acceptance and engagement of communities on girls’ rights and prevention of child marriage and FGM. Secondly, the project is expected to improve girls’ financial independence and livelihood opportunities. Mr Mtengeti said the project would also enhance girl’s knowledge and skills to enable them make informed decisions about sexual and reproductive health. The project is further anticipated to strengthen local level systems to protect women and girls from harmful practices especially FGM and child marriage, he said. Already, a baseline survey is underway in all villages of the three wards to ensure that implementation of the project attained the intended goals, according to Mr Koshuma. Ms Mwanvita Musa, Acting Ward Officer from Turwa Ward said the project will make an impact on curbing FGM and child marriage acts. The project has started at the time when next FGM season is about to take place in Tarime and other parts of Mara region. 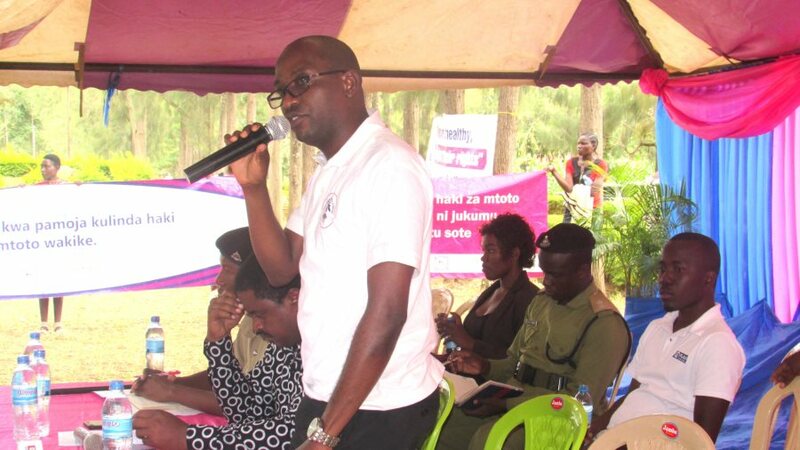 The Tarime DC Mr Luoga said security officials are on high alert to prevent FGM acts after learning that an FGM time table has been provided in some parts of the district. “The FGM time table in Tarime is a shameful move. We need to find out why this practice is not ending and must seek a lasting solution,” the DC pointed out. Mr Luoga said it ishigh time Tarime residents stopped the outdated harmful culture and direct their efforts and resources on development issues like investing heavily in education sector. “If we jail at least 10 female circumcisers (ngariba) this problem will end in Tarime,” Mr Luoga said insisting the importance of public cooperation with the police force. After getting the information about this year’s FGM schedule, the DC said an emergency meeting was held early this week to lay out measures that will help thwart the plan. 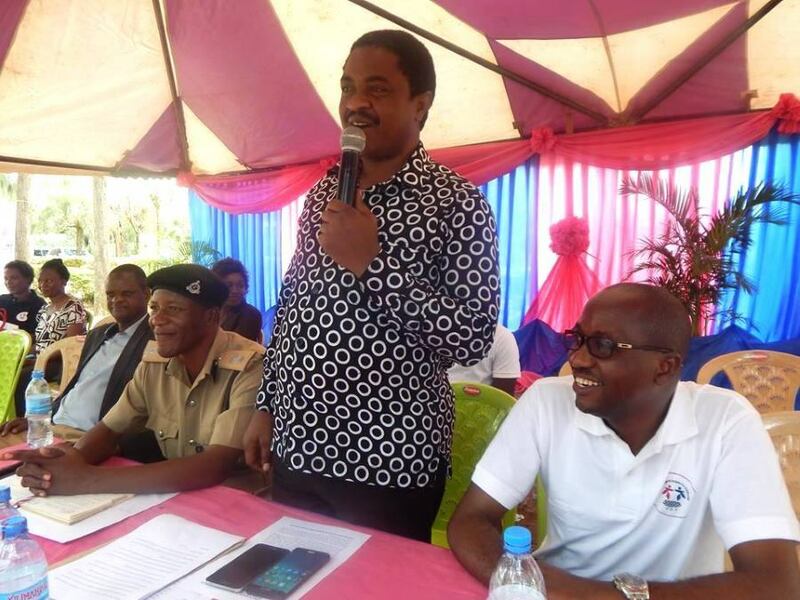 “The meeting involved our officials and traditional leaders and I have instructed Officer Commanding District (OCD) to be on high alert to ensure that we prevent FGM acts before they happen,” he said. There are reports that several hundreds of girls are at risk of undergoing the harmful cut, thanks to Tarime leaders and CDF for the timely actions. Speaking at the same occasion, a number of traditional leaders from Kurya tribe claimed that these days girls are not subjected to painful cut as it was the case in the past. “Now days we only paint flour on the girls as symbol of maintaining the culture for women to dance and provide gifts to the girls. They never experience pains as it was the case in the past,” Mzee Marwa Nyaiho, one of the Kurya traditional leaders said. Kurya tribe has about 13 clans all and majority of them are still seeing FGM as an important culture. FGM is said to be the source of child marriage and massive drop-outs involving school girls in the region. The traditional leaders said they back on-going campaigns aimed at making FGM a thing of the past in the area.